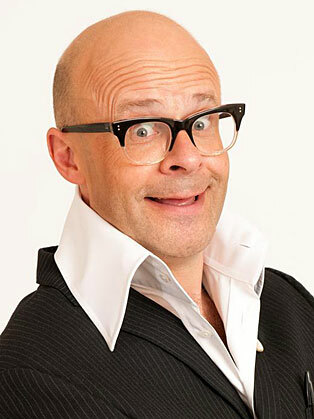 Harry Hill, real name Matthew Hall, was born in Woking. He trained as a doctor but gave up in 1990 to become a comedian; two years later he won the Perrier Award at the Edinburgh Fringe. He began hosting his own show, Fruit Corner, on Radio 4 in 1993, before moving to TV in 1997. He hosted Harry Hill's TV Burp on ITV for 11 years and has narrated You’ve Been Framed! since 2004. In 2002, Hill published the first in a series of novels and books he had written, entitled Flight From Deathrow, based around the accounts of the unlikely antics of real-life celebrities and politicians, as seen through the eyes of the storyteller, as he drifts in and out of a coma. More recently he starred in The Harry Hill Movie in 2013 and presented a revived version of the talent show Stars in their Eyes.